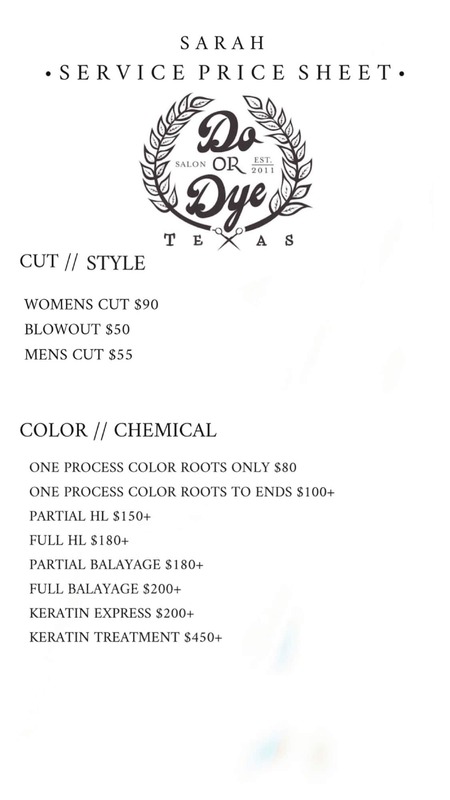 PLEASE NOTE: If your hair texture (thicker/longer hair) requires extra time, or you’re looking to change up your look entirely (long-to-short) please let the stylist know when booking so the appropriate amount of time can be scheduled for your appointment. Weekday evenings & Saturday appointments are limited, so please book in advance. The best way to ensure an appointment is to book as far in advance as possible. If you’re a returning client, pre-booking eliminates this issue. Grace Goodson has been cutting and styling for more than 17 years, and her loyal following is proof that a good haircut is a not-so-guilty pleasure. 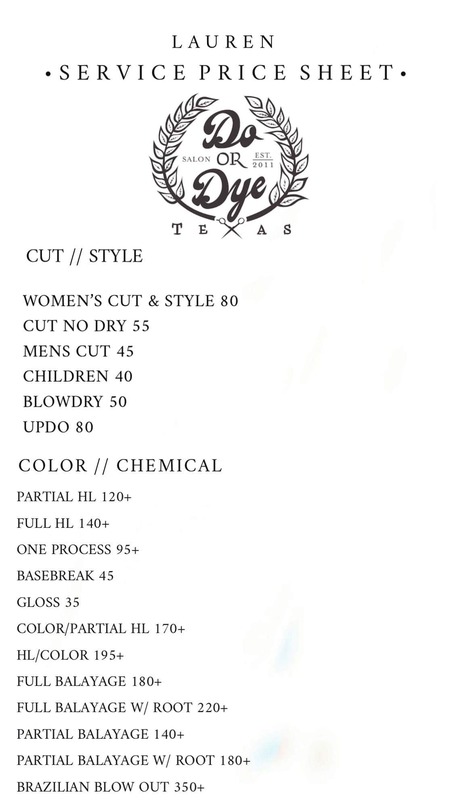 Vidal Sassoon-trained, Grace is highly specialized in cutting and coloring women’s hair, providing textured services, and corrective coloring. She finds inspiration from travel, adventure, and the legendary Dolly Parton. Ashley Krege has been doing hair for more than 12 years. 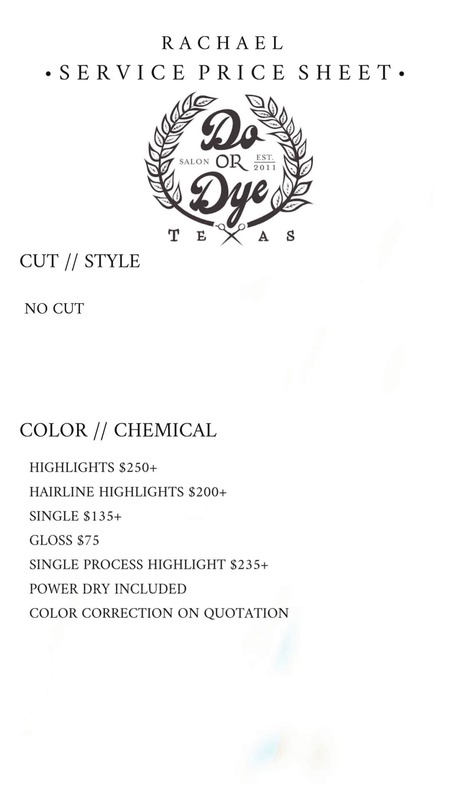 Her strengths include helping clients embrace their natural texture, dimensional color, natural highlighting techniques and ombre. She uses the goldwell color line. She is well-educated in TIGI, Vidal Sassoon, Kevin Murphy, Redken, and Loreal. Ashley finds her inspiration in traveling, art and music. Lindsey Kidd began her career in 2005 after a lifelong obsession with hair and fashion. She works one-on-one with each client to create the look that will make them shine—for their wedding day, a special event, or just for everyday style. She is known for creating gorgeous, wedding hair and event styling—from classic up-dos to casual, undone braids. 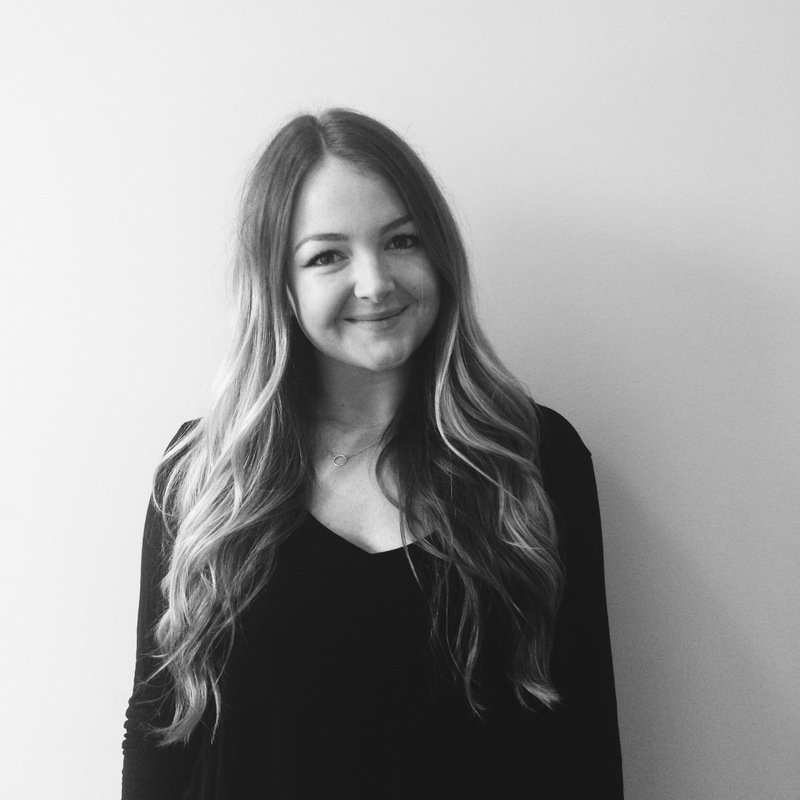 As a colorist, Lindsey is sought out for her in-demand highlights, color corrections and more. Her cuts are seamless and easy-to-wear. She loves and uses Loreal, Goldwell and Redken color lines and is Vidal Sassoon trained. Her looks have been featured on The Every Girl, Green Wedding Shoes, and The Knot. Lindsey is inspired by fashion, art, yoga, music and the Olsen twins. Kecia Parker began her career with hair in 2003. 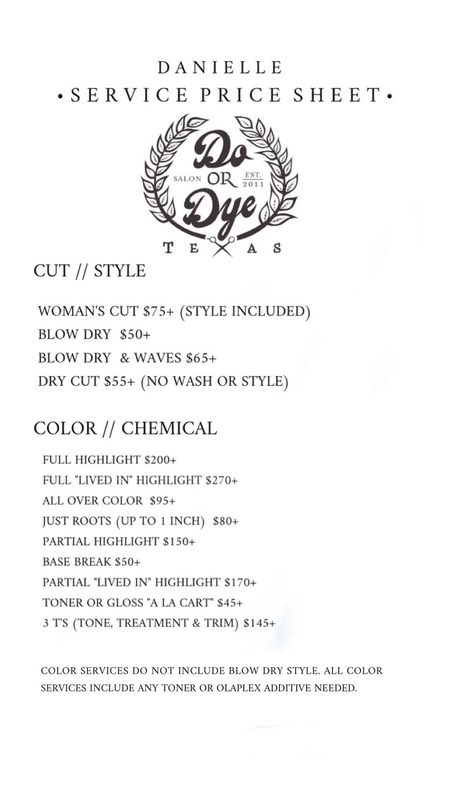 She is a Goldwell Master colorist and has had extensive cut & color training with Aveda. She describes herself as a passionate perfectionist who takes pride in giving her clients a unique look that best fits their personality and lifestyle. When Kecia is not loving life at the salon, she is spending time with her family and exploring her awesome city! blondes, lived in balayage, and long loose waves. Originally trained at the Toni&Guy Academy in Dallas, Sarah is also educated in L’Oréal professional & is a Goldwell master colorist. Her passions include music, fashion, antiquing, and Houston! Mikey Daly is a Goldwell Master Colorist, is educated in L’Oreal Professional and the KMS IQ Cutting Method. Her hair journey began at the Aveda Institute more than 11 years ago. 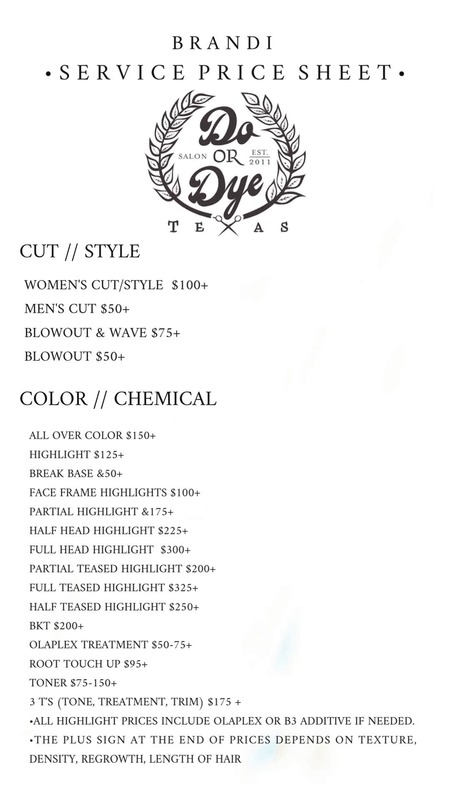 She specializes in hair coloring and cutting for both men and women. Even though she specializes in all shades of color, she is most known for her blonding and highlighting techniques. Always being a blonde herself, she speaks their language. Mikey loves having fun with her clients and being their “life coach.” She finds her inspiration by traveling, her surroundings, music and art. Color it as you see it. Lauren started doing hair professionally in 2013. She’s completed KMS IQ cutting method training, is certified in Brazilian Blowouts, and is a Goldwell Master Colorist. 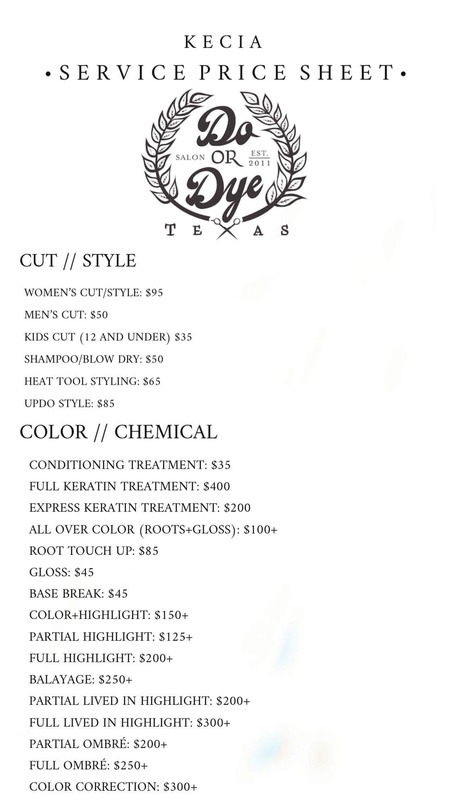 She loves creating coloring and cutting services for her clients, as well as smoothing treatments. 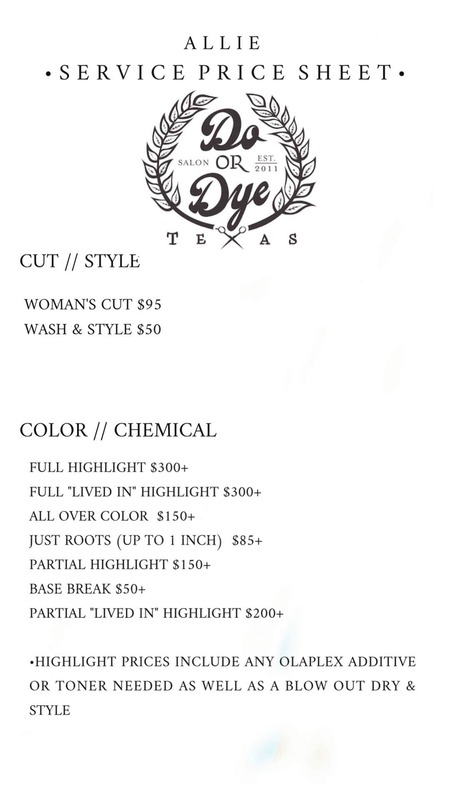 She specializes in blondes and highlighting services. Her favorite part about her job is getting to spend time with her clients while making them look and feel extra special. 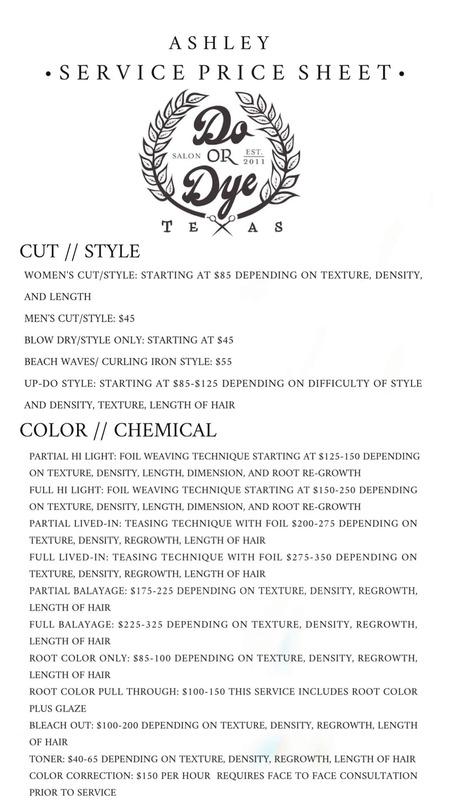 Since joining the Do or Dye family in 2013, Allie has been sought for her personalized approach to natural lived-in color and dry cuts for wavy and curly hair. 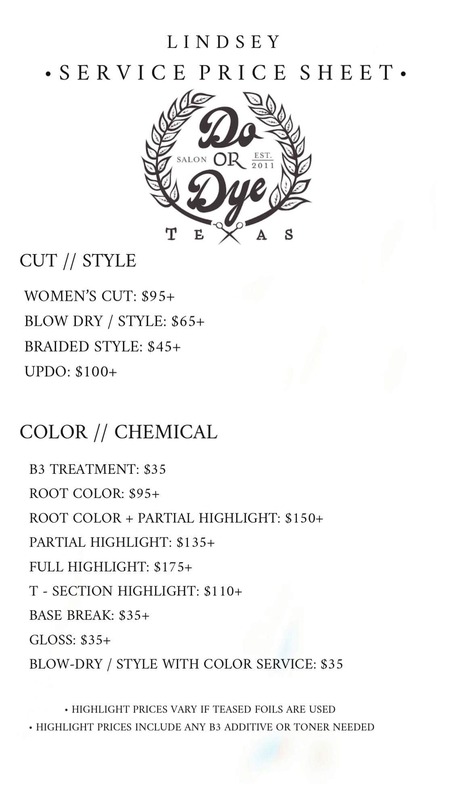 This Houston native received extensive training from both Vidal Sassoon and Kevin Murphy and was mentored by some of the top stylists in Texas. She believes that passing this education on to her clients is one of the most rewarding aspects of her career. Allie specializes in using ammonia, PPD and cruelty free products for color services that are in tune with both the client and with nature. When not in the salon, you can find this loving mom enjoying the outdoors or crushing it on the dance floor. Danielle graduated from the Aveda institute, she specializes in lived in blondes, textured styles, and balayage looks. Her clients love her ability to create a seamless blend providing longevity in style and color. 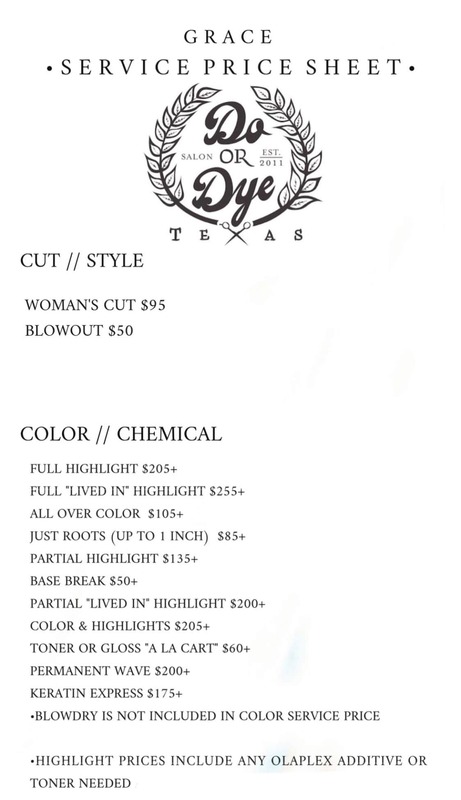 Danielle was mentored and studied under some of the top stylists in houston. She is passionate about continuing education and utilizing her creativity to create completely custom looks for every guest. 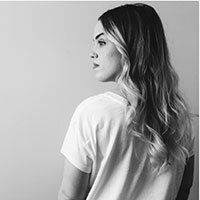 Since 2010 Alex Hein has been providing her clients with customized, natural lashes and lash lifts that accentuate their facial features while using high-quality, safe products. Alex is also “the girl” in Houston for micro blading. In her free time she enjoys discovering local coffee joints and spending time with friends & family. Specific pricing, aftercare, and photo gallery located here. Alex joined the salon in April 2013, and ensures that each client is greeted with a welcoming atmosphere and the personal service they deserve. 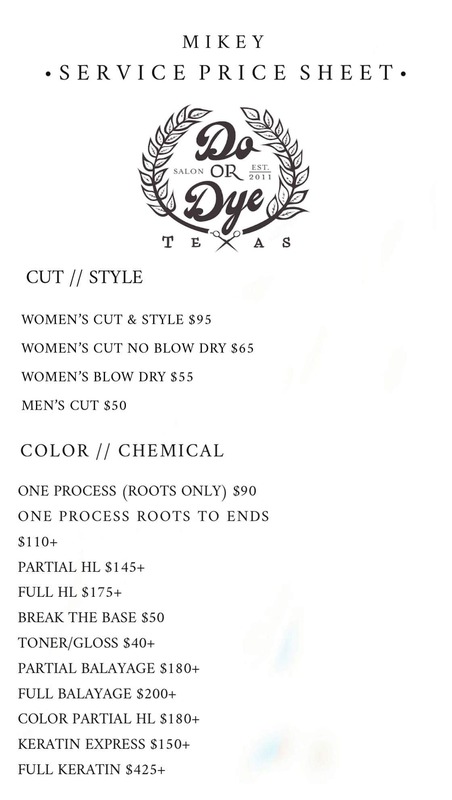 Alex takes pride in running an efficient and professional operation at Do or Dye.